GTI has proudly passed our Cook & Thurber 3rd party audit with high scores, providing a credible verification system to the food processing industry! Third-party audits provide an invaluable component to the safety of the U.S. food supply system. Multiple independent companies and audit programs provide literally thousands of independent checks and balances to the food supply system with no direct cost to taxpayers. These audits are voluntary tools of the food manufacturer and are not meant to replace regulatory inspections. Usually, audits do not include microbiological sampling; however, a representative review of microbiological test records is part of the program evaluation. As a voluntary activity with no legal status, the audits depend on openness and disclosure to accomplish their full function. They are not meant to uncover deceit or fraud. They are best described as professional service; a consultation activity that the facility can take advantage of the recommendations in full, in part, or not at all. The deficiencies observed in the audit report can be resolved to the satisfaction of the facility or the buyer of product from the facility through pre-arranged agreements or program enhancements. Examples would include announced or unannounced visits; reports to all interested parties; and follow up to resolve deficiencies through a variety of reporting methods. The food industry utilizes audits in a number of ways to supplement food safety programs as a manufacturer of food, the distribution of input or output, or a purchase of an ingredient, packaging suppliers or finished products. One of the uses of third party audits is the training component for new and existing employees responsible for the actual day-to-day execution of the facility’s food safety program. Responsible personnel are encouraged to accompany the auditors/inspectors during the audit as well as the closing session. The training component is particularly important to small and medium size companies without a large corporate staff. In addition, the standards and the experience of the entire organization is part of the transmission of best practices to each and every processing facility involved. The motto of the food industry is that there are no secrets when it comes to food safety best practices – the entire industry benefits. Third party audits also provide an opportunity to recalibrate a facility’s own self-inspection, part of a standard food safety program requirement. Additionally, third party audits can provide a new set of eyes to view the operation, without the natural familiarity that occurs over time with regular staff in the day-to-day routine. 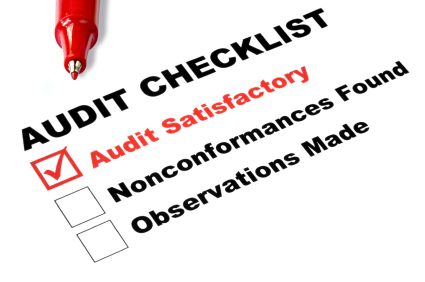 Finally, audits may be a component of a supplier approval program between companies. Other components may include Certificate of Analysis, independent lab analysis, transactional requirement, plant visit, as well as other components to ensure a safe and predictable supply to the purchasing organization.